2.) I can modify an existing program to solve errors. ​ the largest repeatable sequence. In today's lesson, you will be learning new concepts and reviewing old ones that you learned last year. Sometimes, the best way to learn new technology skills is to perform the skill without technology first. This helps you to gain a better understanding of what you are doing and why you are doing it. 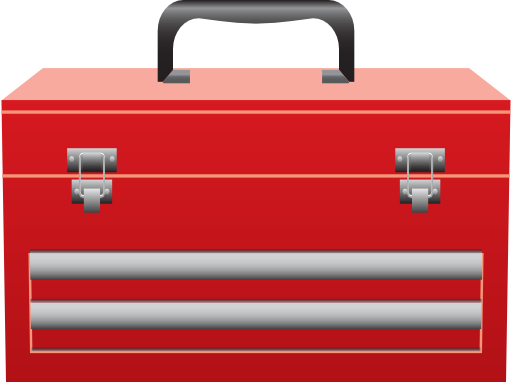 First, let's go over the vocabulary terms under the toolbox on the right. Now you are going to practice your understanding of these terms by playing a game called Race to the Finish! 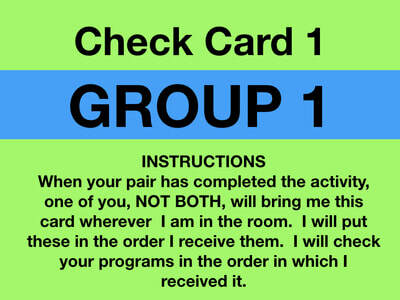 In this activity, you will work with your shoulder partner as a team. Each pair will receive an activity bag with the following items. Do not open it until I tell you to. The contents of your bag are pictured below. 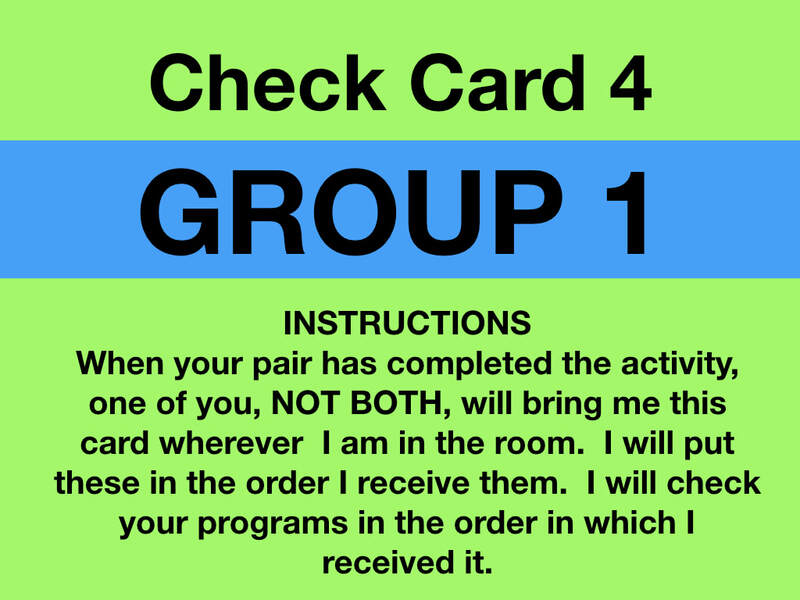 Each group will receive 4 Check Cards. Your group number is on the card. Each group has a different color. You will give me Card 1 after completing your first program, Card 2 after your second, and so on. You won't get these back once you give them to me. 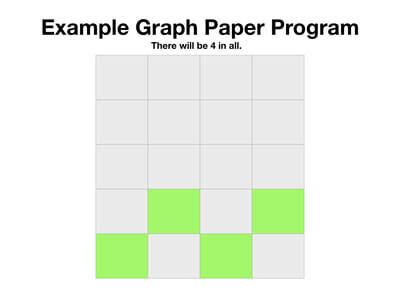 Each pair of students will use the Coding Block Manipulatives to write the program needed to draw the picture on the Graph Paper. You can write it out first if it helps you. 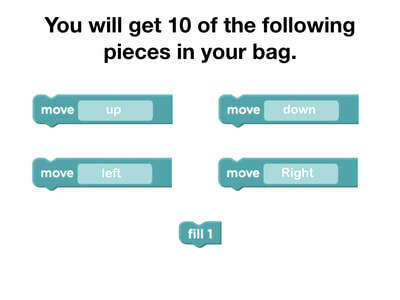 The Coding Block Manipulatives are used by starting at the top and adding manipulative to the bottom. When you finish programming the first picture with the blocks, one NOT BOTH of you, will bring me your Check Card. When it is your turn, I will come and check them. If they are correct, I will nod my head yes and give you your second programming card. If they are incorrect, I will nod my head no and give you a try again card. You will program 4 cards in the game. The first pair to program all four cards wins the Race! DO NOT GO ON TO THE ACTIVITY UNTIL I TELL YOU TO! Now, I am going to demonstrate how to program. I will pretend to be a student doing the program. I will talk about what I am thinking and express the strategies I am using to deal with my frustrations. I want everyone to watch the screen and listen as I model this for you. Do not start the activity yourself until I tell you too. Remember, we have been working on "really listening" and not "waiting to talk." It is very important that you watch and listen so you are not frustrated later. Save all questions until after the demonstration. Now it is your turn to do the activity. When I tell you to, you will follow my instructions to begin the programming activity. Remember, you will be using the Debugging Process and Pair Programming during the activity. Let's go over these things one more time before you begin. Remember, one of the activities you will be required to do is to figure out what coding is incorrect or not needed. To do this, you will need to use the Debugging Process. 1.) Describe the problem that you are seeing. 2.) Ask yourself - "What is it supposed to do?" 3.) Ask yourself - "What does it do?" 4.) Ask yourself - "What does that tell me?" Remember that frustration is part of learning. Frustration means you are about to learn something and your persistence will pay off! If you run into something that is very challenging or have a question, you will use the Pair Programming Strategy that you learned about in the video. Remember, in Pair Programming, you are still doing your own work. When you experience a challenge use the debugging process. If you still have problems or questions, ask your partner to help you. If your partner doesn't know how to help you, the two of you can ask another pair. Remember, when you help someone, you are not doing it for them. Don't sit in the classmate's chair. Don't use the classmate's keyboard. Don't touch the classmate's mouse. Make sure the classmate can repeat the solution to you out loud. ​It is very important that when you are doing this activity, that you are thinking of things from the Bird's point of view. If it helps you can stand up and do the movements yourself. Now it is your turn. Click the continue button on your video to go to the maze program. Remember, do your best and try not to get frustrated. Talk with your neighbor before you program about what you plan to do. Do they agree with you? Why or why not? Did what they have to say change the commands you gave? Remember to use strategies to help deal with frustration so that you can be persistent. ​You Can Begin! I have the icons embedded below in case you closed out before. Congratulations! You finished Introduction to Online Puzzles and accomplished today's mission. Now, you need to reflect on what you learned. Below you will see, The Coding Chronicles. The Coding Chronicles are online reflections of what you have learned. The questions in the Chronicles will guide your through the reflection process. 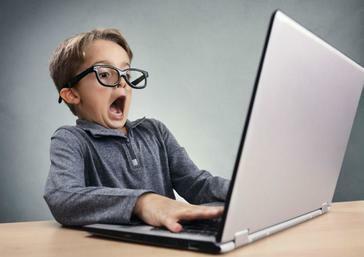 When you have finished, click submit and log off of your computer. 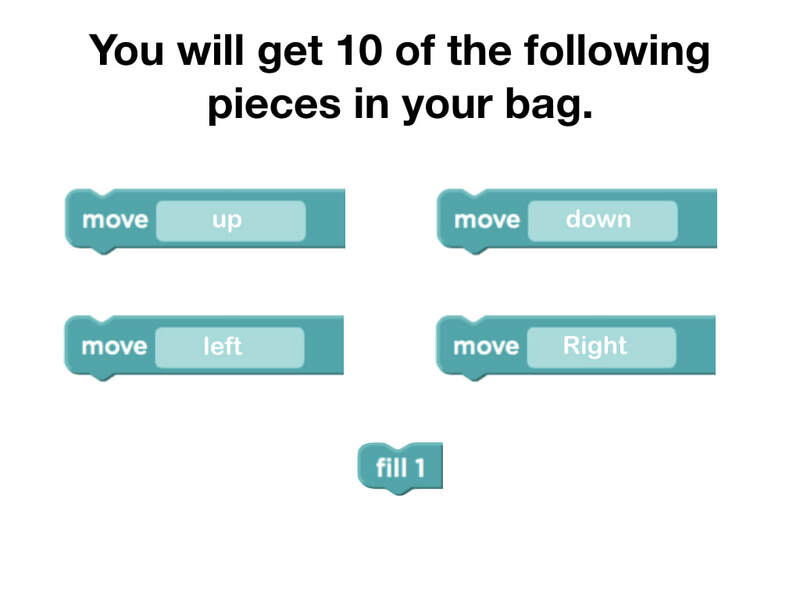 Coding Lesson 2: Introduction to Online Puzzles. ​Studio.code.org. (2017). Code.org. [online] Available at: https://studio.code.org/s/coursed [Accessed 20 Nov. 2017]. Standard 1: Use numbers or letters to represent information in another form. Examples: secret codes, abbreviations, or Roman numerals. Standard 2: Analyze a given set of subproblems while addressing a larger problem. Standard 3: Recognize that different solutions exist for the same problem or subproblem. Standard 4: Examine logical reasoning to predict outcomes of an algorithm. Standard 5: Create an algorithm to solve a problem in collaboration with others. Example: Move a character/robot/person through a maze. 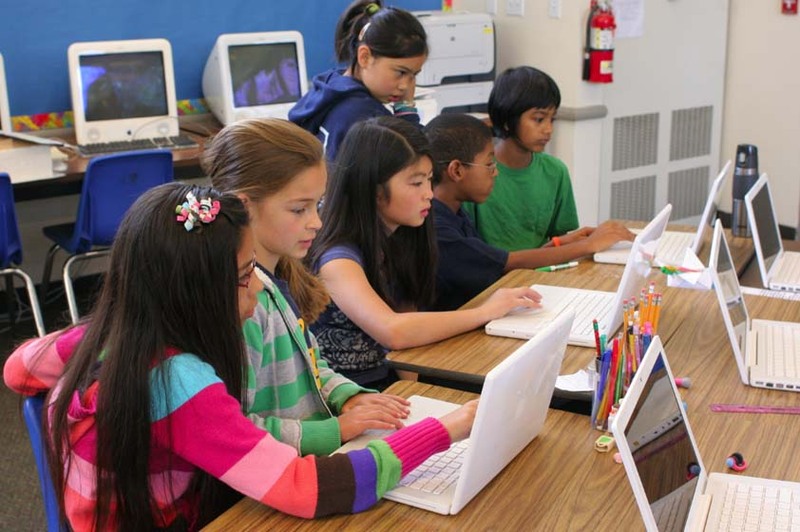 Standard 6: Test and debug a given program in a visual environment using arithmetic operators, conditionals, and repetition in programs in collaboration with others. 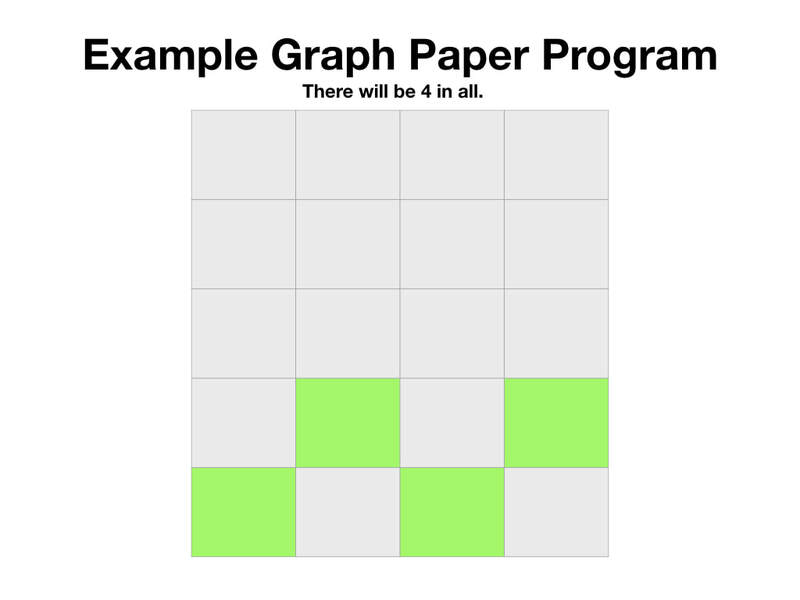 Example: Block Based visual programming language.